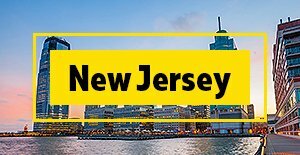 Charter Every Thing, Inc offers highly experienced drivers and professional charter bus services at quite affordable rates. 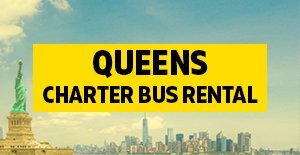 If you are looking for group travel options in New York City, hiring a Manhattan Charter Bus would be the most reliable and cost-effective option for your group. If you are traveling with 2 or 3 people, a corporate sedan is more than sufficient to accommodate everyone. However, if you have a group of 12 or more people, there is no need to reserve 7 sedans. The best solution for any group travel is a private charter bus, we offer you deluxe coach buses and mini buses with comfortable amenities. 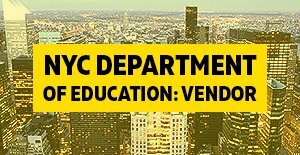 Manhattan charter bus is a great option for any type of field trips, symposiums, exhibitions, excursion, parties, ceremonies, vacation and group traveling. We also facilitate several unique package and discount options for any coach buses and school bus rentals. National and international sport team makes use of our charter bus rentals to reach their venues during competitions and tournaments. Our vehicles have exquisite seats with reclining features and having sufficient leg room and arm rest. Charter Every Thing coach buses are fully equipped with LCD television, restrooms, air condition, CD, DVD, power outlet and Wi-Fi facilities on select vehicles, so you will not get bored during long journey and you can charge your phones and laptops with traveling. Every penny invested on our charter services would be certainly worthwhile for you. Moreover, each person will get the opportunity to sit back and relax during the entire trip while watching the beautiful roadside vista. 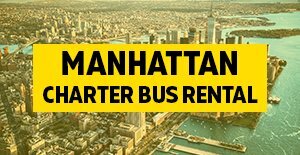 Manhattan bus charter rental also enables you to even choose your routes you take, if you wish to take your passengers through a more scenic route, you can as you have the option to request this in advance. All charter buses restroom is well-furnished with toilet, sink for any long group travel. 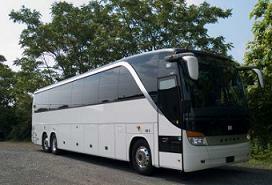 The best advantage of charter buses is that it enables you to easily conduct meetings on road in style and on time. 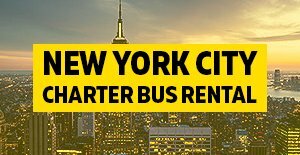 Manhattan charter bus rentals is not like your public transportation buses these are luxury charter buses that is made for comfort and style. Instead of entering a bus with rows of plastic seats, you will find pure luxury amenities depending on the type of party you are having. We offer a wide range of vehicles for you too choose from. 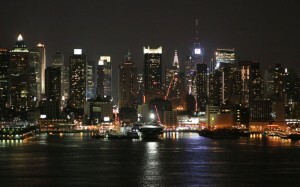 Give us a call 1-855-NY-NJ-Bus or 1-855.-696-5287 or just send us a online quote request we will be happy to assist you.